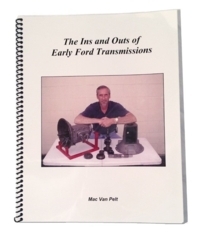 "The Ins and Outs of Early Ford Transmissions"
1932-52 light truck three speed transmissions. Disassembly, parts inspection, assembly instructions accompanied by step-by-step photos. Includes gear charts and much more. 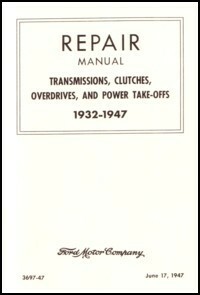 Basic manual for Ford 1932-47 passenger and truck transmissions and clutches. 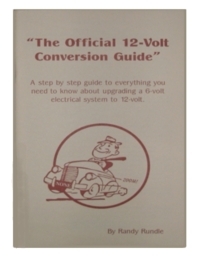 Operating instructions and servicing instructions for this popular overdrive transmission. 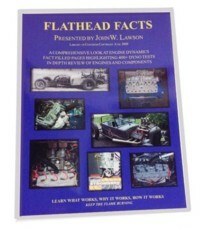 186 pages of Flathead Facts presented by John W Lawson. A comprehensive look at engine dynamics through text and photos. Fact filled pages highlighting 400+ dyno tests of real flathead components. In depth review of Engines and components. This is an authorized copy of the book by Ron Holleran. 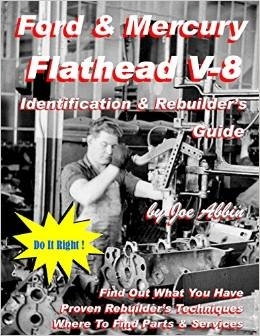 It is an an-depth flathead V8 rebuilding manual for practical street use. Many photos included as well as detailed explanations of the rebuilding process. Click on the book image for more information. 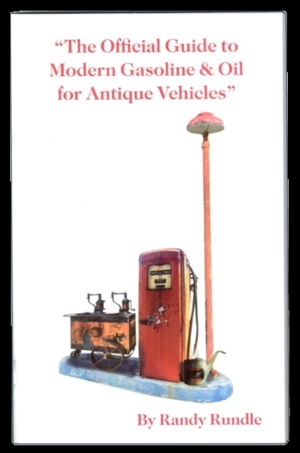 A comprehensive explanation of how today's fuels and lubricants affect the operation of the engines in your antique cars and trucks. 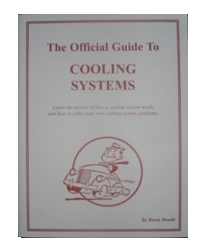 Written in a format that is easily understood yet shows you what steps you need to understand how to work with modern gasoline and motor oils. 60 pages and many illustrations. 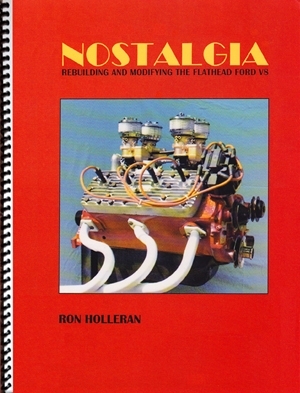 Stock, or modified, this book will be an essential reference for both engine owners and professional engine builders to help them determine what they have, what they need, and how to achieve a successful flathead rebuild to meet any standard. Includes detailed photos of many parts. Written by Joe Abbin. 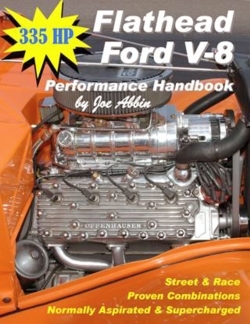 This handbook is packed with flathead Ford building and tuning tips, describing proven combinations for both the street and the track. Complete buildups of both normally aspirated and supercharged flatheads are presented with actual test results. The featured engine, Killer, made over 215 hp naturally aspirated, and 335 hp supercharged! Find out what really works for making serious flathead horsepower without breaking the engine or the budget! To place an order for any of the available books listed above, you can call our sales office during regular business hours. for the flathead V8 and many other early Ford service parts for chassis, rear end, ignition systems, and more. parts drawings are available online from the PARTS DRAWINGS link. We are located in Batavia, Ohio. 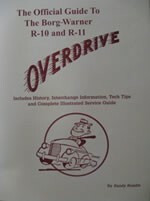 Ford transmission repair manual, transmission manual, transmission repair book, how to repair a Ford transmission, toploader repair book, classic transmissions, classic Ford transmission, transmission parts, Ford transmission parts, rat rod transmission, flathead v8, flathead engine manual, flathead hop up book, flathead engine book.